When I and 15 other students from Herbert W. Armstrong College arrived at the dig site on August 22 for our first day, we didn’t traverse through a jungle dodging poison darts and sand pits, we weren’t handed whips or tan fedoras and we didn’t find any hidden treasure. Instead, we were handed hoes, brushes, gloves, buckets and bags, and we trekked down dusty steps to a barren layout of stone walls that protruded from the dirt beneath. Perhaps our experience doesn’t sound exciting like an Indiana Jones movie, but it was in fact more exciting! We learned quickly that the first couple days of “digging” are comprised of prep work and clean up—no digging at all. The first day, many of the men constructed stairs and bridges to enable navigating through the site more efficiently. The girls used tourya (hoes) to scrape off the top surface of soil that was filled with dead grass, trash and loose rocks. It felt a lot like doing yard work—almost like raking. It was ironic being told to clean an area when the whole section was just a bunch of dirt and rocks. Nevertheless, we cleaned! The “dirty” dirt (the top part we scraped off) was loaded into bags that were 1 square meter in size. We could literally taste what it was like to be an archaeologist as clouds of dust surrounded us as we filled the ba’alot (bags). After lunch, a shipment of supplies including wood, buckets, gloves, etc. were delivered to the site. All the students helped carry the supplies from the road side to the site, and then continued to clean up the areas in which we would soon be digging. After day one, we were dusty, sweaty and eager to start unearthing history. HWAC junior Chris Eames helps clean up by hauling a ba’alot out of the dig site. The second day was filled with many of the same tasks as the first. 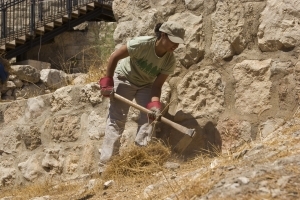 We carried heavy objects such as tree branches and the ba’alot that were stuffed full of grass and other dead vegetation up staircases and walls about 100 meters until we reached an area away from the dig site, near the southern wall of the Temple Mount. Several of the men worked to erect a shade tarp over the area to block the sun. This not only provides extra shade for the workers, it also enables better lighting for the pictures that will be taken throughout the excavation. It was definitely hard work, but every time we’d look up to wipe our brows, we’d glimpse the Mount of Olives or some other distinctive Jerusalem landmark. 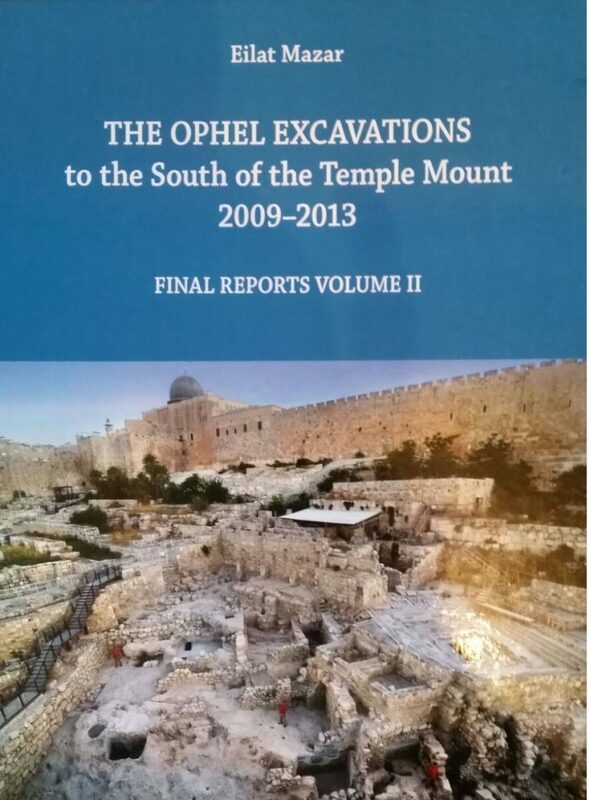 That’s right, we’re digging in Jerusalem! we would remember. Day three came on a Sunday—the first day of the work week in Jerusalem. We were pumped and ready to dig, but the prep work was not yet finished. There was more cleaning to be done, but this time instead of using tourya we used broom brushes to make the different areas look level. It was finally starting to look like an actual excavation site instead of just a bunch of ancient ruins. Alumna Sarah Patten cuts away unwanted grass and rocks. As each area of the site was prepped and ready for digging, excavation photographer Ryan Friesen took pictures to record what the site looked like before the excavation started. By the afternoon, one area was finally ready for excavation, and alumnae Rachel Dattolo and Sarah Patten put on their gloves and began to dig. It might just sound like a bunch of work, which it is—but it’s work with purpose. What makes it exciting is not only the location that is full of rich history, but simply the fact that it’s real! 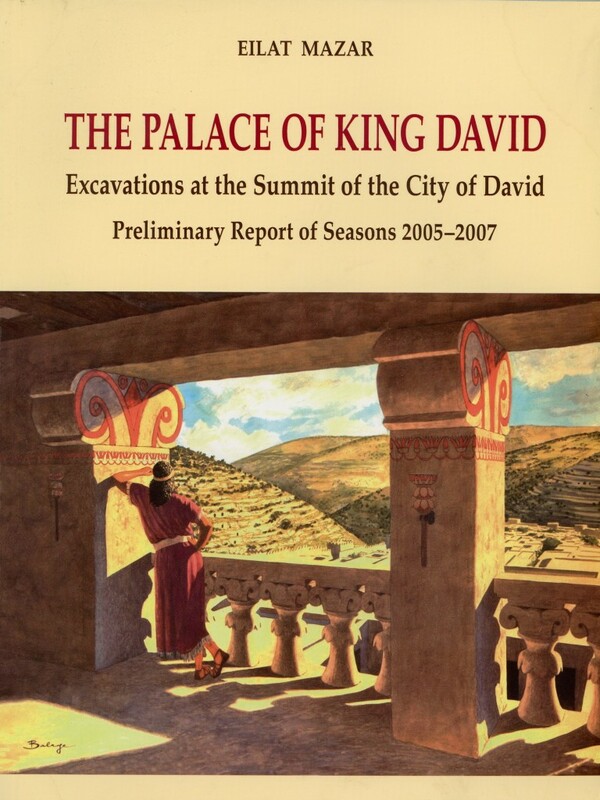 We are actually digging up tangible facts that verify biblical history. 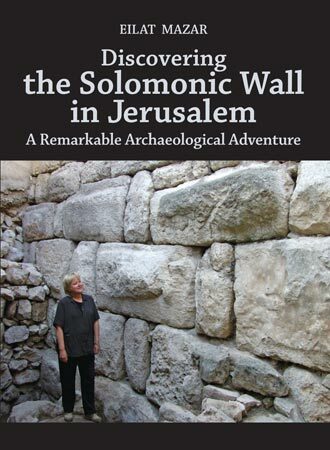 As we prepped the site, we were walking on and touching walls that were built nearly 2,500 years ago. Learning the humble beginnings that every excavation site starts with only increased our anticipation for the results that would come from our hard work–and to see what lies just beneath the surface in the Holy City. Wow, such thrilling experience! How I wish I could volunteer and touch those walls rich in biblical history! We shall pray for you all! the surname SZABO left a comment. I live in a crescent named after world war 2 heroine Violette Szabo. What a great opportunity for Dr. Mazar to see what her new volunteers are made of. Each of you are able to showcase the dedication and work ethics you gained from your years at Herbert W. Armstrong college. Enjoy every moment and continue to share your experiences. I am very in impressed that your update included the simple fact of how important set up and cleanup is. Today many forget what comes from preparing a project a proper way. As workers on this site it is important to pass long every detail. Sharing the experience really shows what’s expected of us and what this dig is all about. In time we’ll see the reward!! Keep up the good work. Appreciation from Fiji Islands for enabling us to be part of your exciting dig! Thank you for this blog, Michelle. You brought me right there in Jerusalem with all of your details. I loved when you remembered the purpose in all of the hard work, and the appreciation for where you are! You are all making history over there!! This is wounderfull, I’m so glad to have found this today. You did a great job of bringing the dig home to us, thank you for this efective tool and all the hard work, let it be blessed. Great article, great sights, and a great site! Thanks to all of you for allowing us to vicariously experience this portion of God’s end-time work being done. We are praying for you and can hardly wait to find out what God is going to reveal this time around. By the time this is posted, it will be the morning of the preparation day over there, so Shavout Shalom! Thank you Michelle for this wonderfully detailed report. It allows us to be right there with you! We thank you for your attention to details and letting us be there with you! Keep working hard and keep posting!! I’m already knowing you guys were pumped to dig before you even got there. Had to work patience there eh. Lol thanks for sharing. This is remarkable! Thank you so much for sharing it with us in this way. Took a course on archeology and this enlightens me that much more. Thanks. Will be following the developments. The article was very informative regarding the preparation and cleaning that has to be done prior to the actual dig. 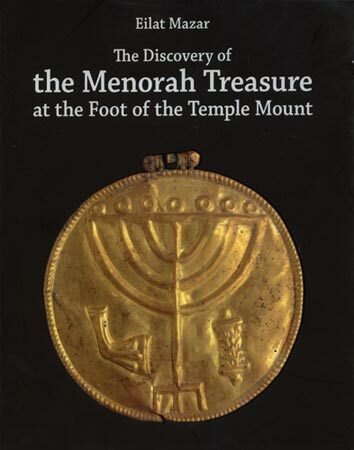 Sounds like menial labor, but I now understand how important it is in order to proceed to the more rewarding aspect of the dig when a real historical treasure is found! Thanks for this post! 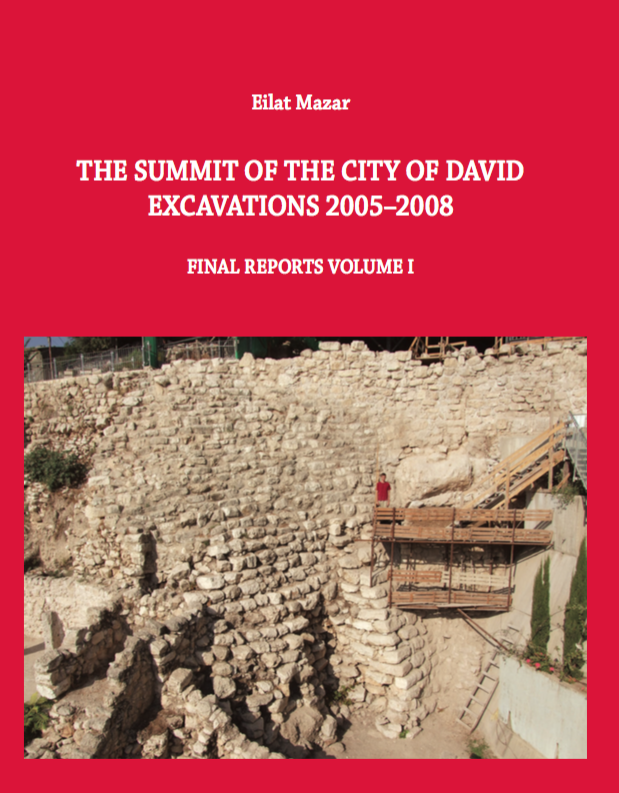 It is really amazing to read so many details of the dig and have my questions answered. Thanks for all the hard work and sweat! WOW! Talk about exciting! 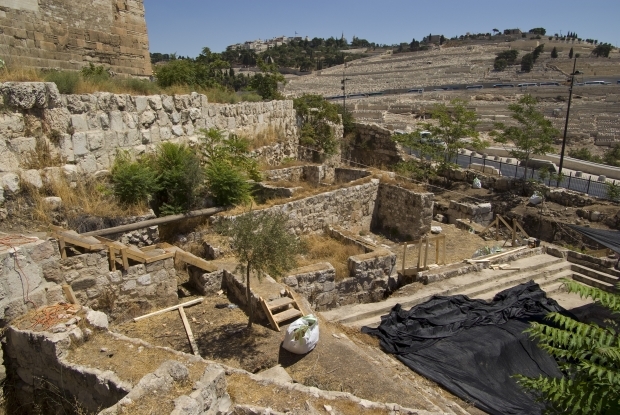 Uncovering the Roots and the Birthplace of Western Religion. To be able to see what your eyes see and to accomplish the work that you are all accomplishing….it’s just mind boggling! This IS more exicting than Indiana Jones. I wish I could be there with you, but since I can’t, THANK YOU for the blog and the photo’s that allow me to see the most important dig in the world! Thanks for the article! I love the new site, it’s beautiful! I miss all you guys, but it’s very exciting to see the progress being made in Jerusalem! 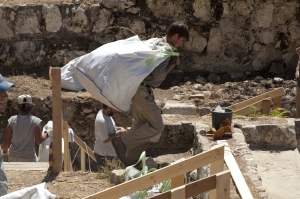 It’s even more awesome to think that people I took classes with are now “archeologists” in Jerusalem! Great article, Mash! Keep the updates coming; the Pub likes to keep track of you guys. Exciting! Thanks for the post, Michelle. It’s good to gain some knowledge of how a dig works, and you’ve started out well. I hope these types of posts continue to help us all understand what we’re doing over there!